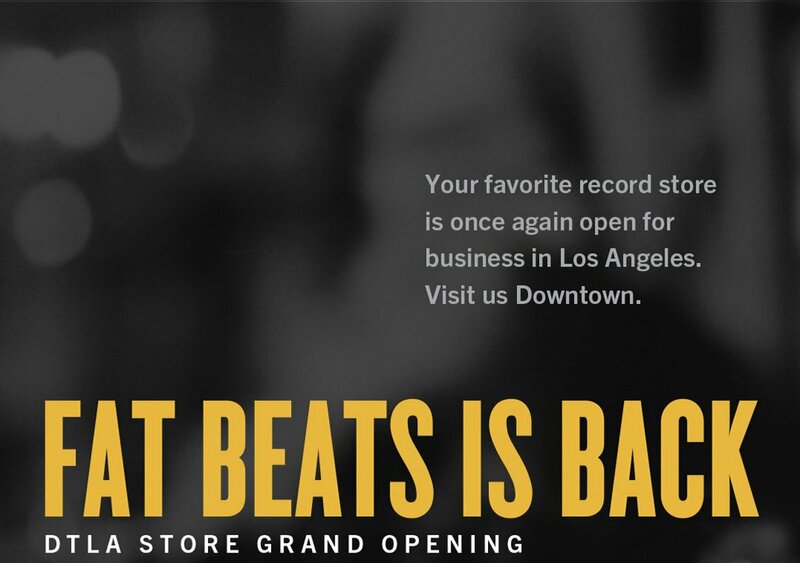 Fat Beats, one of our favorite record retailers, has re-opened a retail space in Los Angeles. You can scoop up vinyl records from Illect Recordings from them. We’re excited to announce the opening of our new retail store in Downtown Los Angeles. In celebration, we’re throwing a grand opening party featuring a few of the many artists that have contributed to our success all these years. Stop by our store on Saturday, 9/22 in Downtown Los Angeles to see DJ sets from our friends Carlos Niño, DJ Rhettmatic, Dibia$e, House Shoes, Ras_G, DJ Jab, Exile, Daedelus, DJ Babu with some surprise special guests. The world famous Hit+Run crew will be live screen-printing at the shop, first 100 customers to stop in get a free shirt! To all of our customers over the years that have kept us in business, purchased from us online or supported the artists we work with at a show, thank you. If you’re not based in LA, we hope you’ll visit the shop the next time you find yourself in California. It’s the support from customers like you that has allowed us to thrive and reopen our doors once more.